Healthcare technology saves lives. 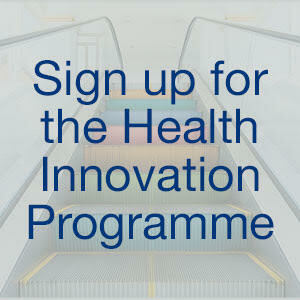 The Health Innovation Programme could change yours. Have you got an idea for a new healthcare technology? SETsquared is working with Academic Health Science Networks (AHSNs) to help you develop your idea into a business and secure your first customers either in the NHS or the commercial market. Technology pervades every area of our lives, from the way we shop, the way we communicate with friends and family right through to the way we travel and use household appliances. But the area where technology is making the most impact is in healthcare. Within two years, three million people in the UK are expected to have three long-term medical conditions like diabetes and dementia. This will put an enormous strain on NHS health and care services. That’s where technology comes in. We’ve already seen the rise in use of health apps, smartphones as diagnostic tools and wearable fitness trackers. Moving forwards people suffering from chronic conditions like asthma, diabetes, heart disease or high blood pressure will start to be constantly monitored remotely through wearable skin sensors and smartphone apps. The use of home-based technologies that support individuals (and their carers) to manage their long-term conditions will continue to rise. 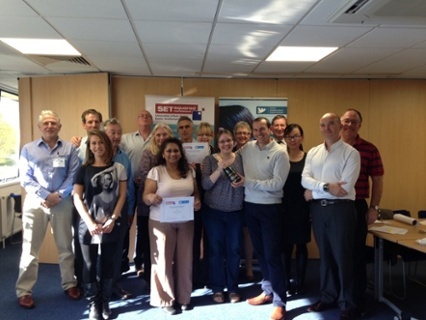 SETsquared is currently working with Kent Surrey Sussex AHSN, to provide intensive 4-day business training courses to help entrepreneurs, academics and businesses develop their idea for healthcare products or services. Fully-funded places are currently available on the Kent Surrey Sussex AHSN Health Innovation Programme in April. Immersive and interactive, these training courses will enable you to develop your business idea, analyse your market and potential customers, develop a compelling pitch and look at funding strategies. It culminates with the opportunity to pitch to a panel of investors and healthcare experts, who will provide invaluable feedback for you to take your business forward. You’ll come away armed with an outline business plan, an elevator pitch, a detailed picture of your potential customers as well as 5-min commercial pitch presentation. The beauty of the programmes is that they bring together the strengths of both organisations. The AHSNs are experts in the healthcare market, their work aims to speed innovation across the health system, combined with SETsquared who have a 14-year track record of supporting high-tech start-ups. EasyVideo which enables adults with learning disabilities to scan a QR code on household items with any smart device and it plays a video of how to use it. getUbetter a suite of smart apps to help people self-manage back, ankle, shoulder and knee injuries. Say It app a pronunciation app which was initially designed for foreign students but applications in speech therapy and clinical settings are now being explored. Veloscient an iPad-driven clinical notes tool. The support doesn’t end there. Working with the AHSNs, we are committed to providing comprehensive business support to healthcare and life sciences start-ups throughout their lifecycle. So once you’ve completed a Health Innovation Programme, there are plenty of other options to keep your venture moving forward. Specialist surgeries, access to NHS experts, mentoring are all offered by the AHSNs and SETsquared offers tailored business support and access to investors. This is your opportunity to change an idea into a reality, changing your life and possibly saving the lives of other. Places on these courses are sponsored by the AHSNs, so are free of charge to the participants but spaces are allocated on a competitive basis.